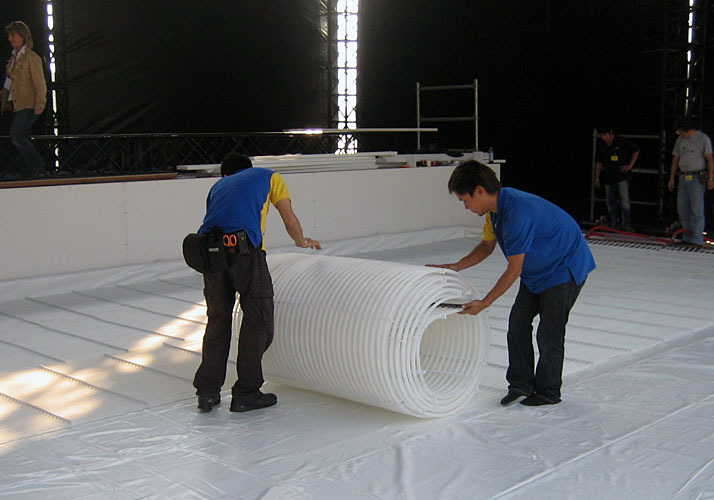 Custom Ice produces portable and permanent ice rink piping for all types of ice rink applications. 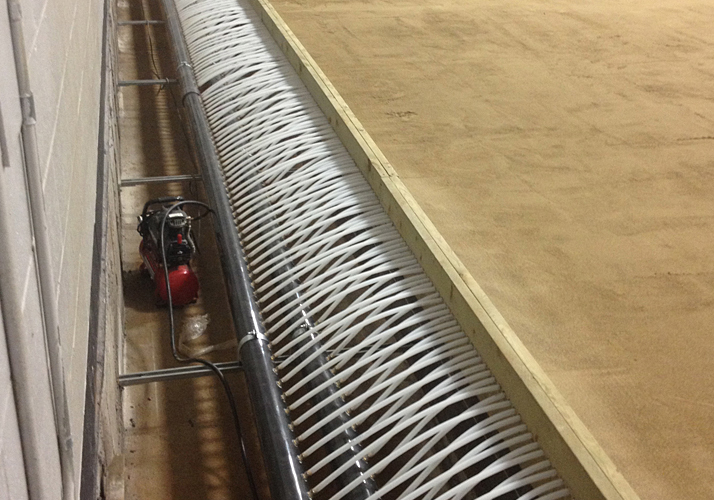 From permanent indoor arenas, curling clubs, temporary rinks to everything in between - Custom Ice piping can be used for nearly any type of ice rink. 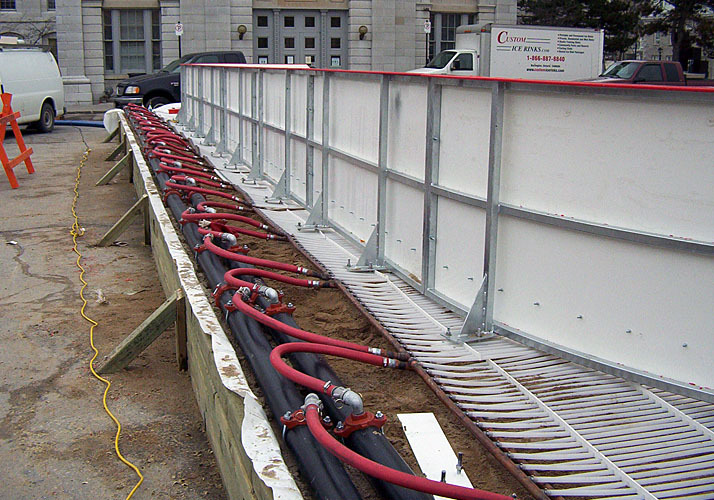 Our custom designed header and sub header systems are engineered for each specific ice rink ensuring a trouble free installation and reliable operation. 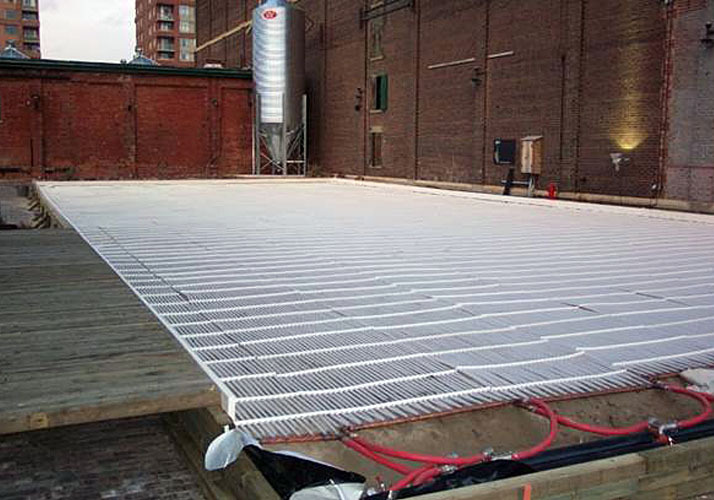 Best of all, the close spacing of Custom Ice piping systems result in 30% more surface area cooling making it 10-15% more energy efficient than traditional systems. 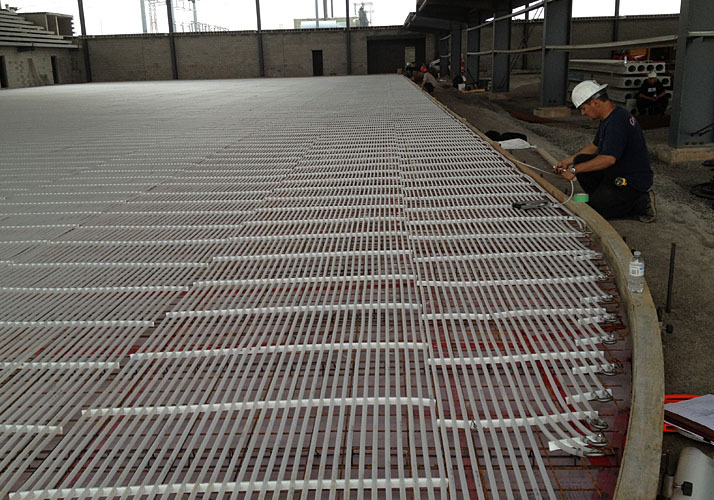 This close pipe spacing also provides exceptional ice temperature consistency - ideal for curling and speed skating applications. piping system connects to main headers using flexible quick connect hoses simplifying installation and removal. 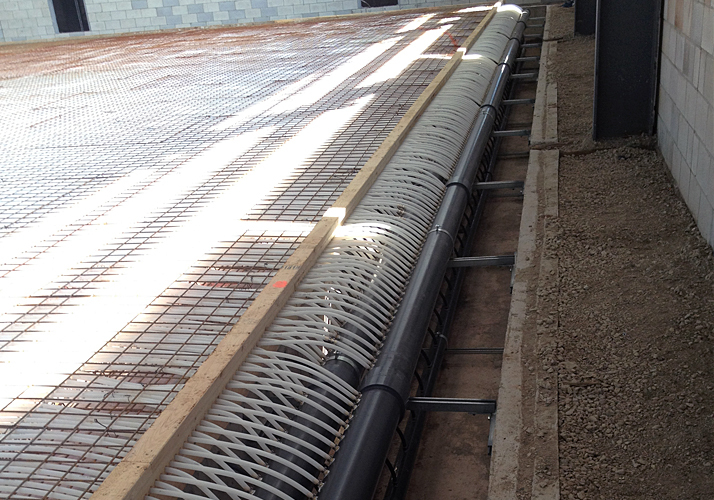 Custom Ice rink floor piping has been used successfully in over 150 permanent ice rinks throughout North America. 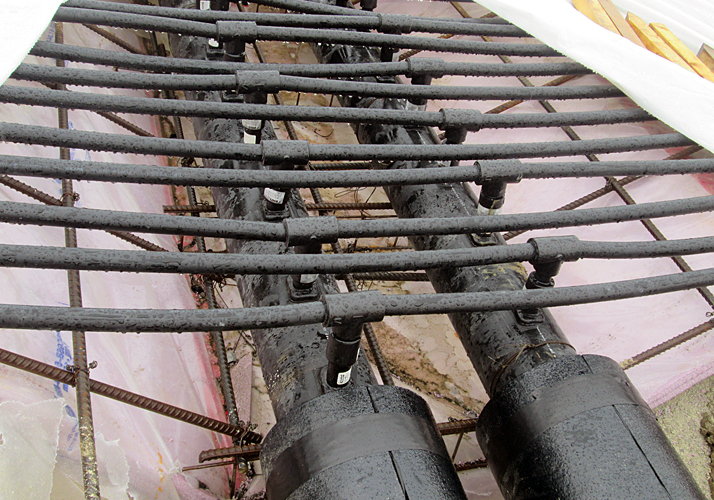 The prefabricated piping and reinforcing steel design can be installed quickly and efficiently saving valuable construction time and reduced installation costs. 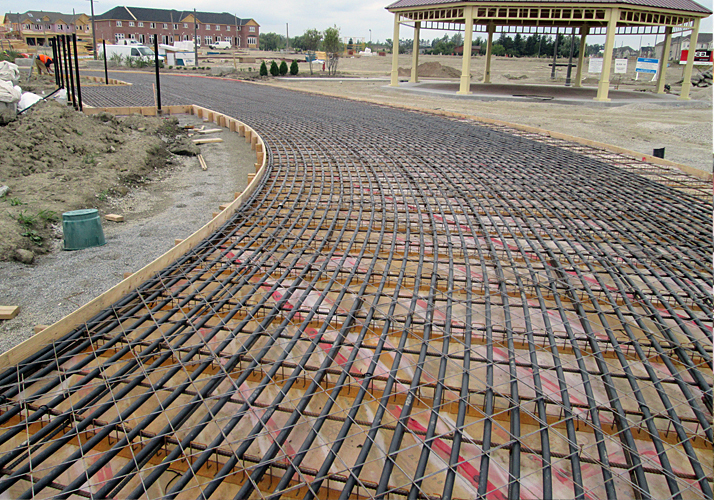 Custom Ice concrete mix design is formulated specifically for ice rinks. 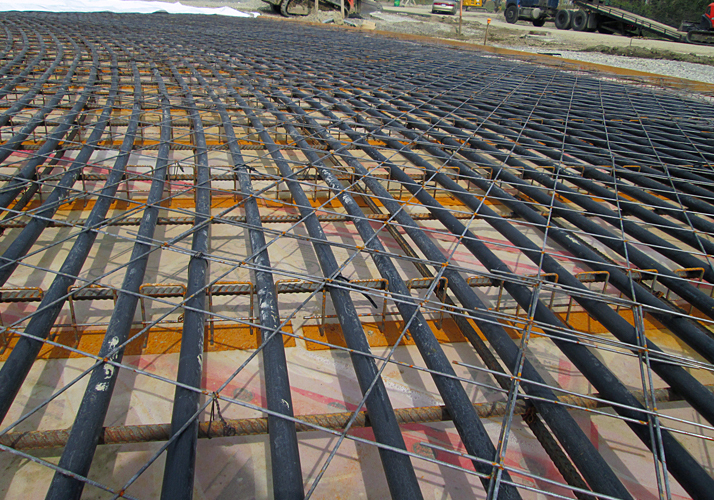 Continuous wet felt curing ensures high concrete strength and durability. 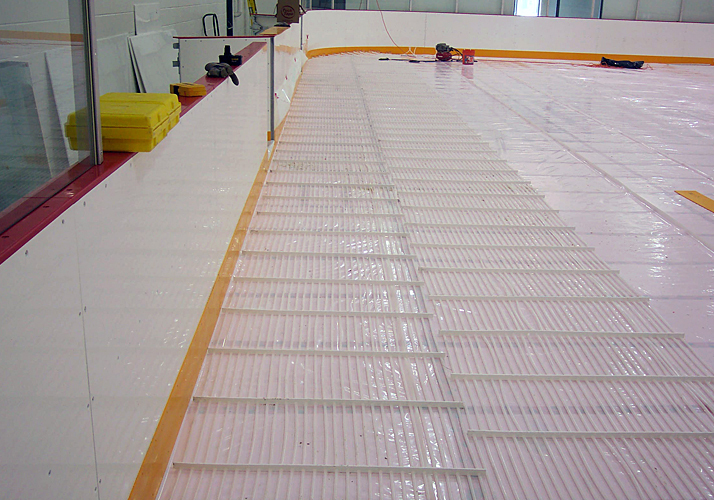 Custom Ice training rink floor piping is designed for retrofitting ice rinks in existing spaces. 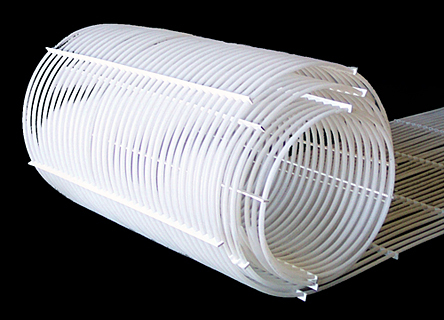 The close pipe spacing and 1” height profile make it ideal for installing on top of an existing concrete floor without the expense of demolishing the existing concrete. Most importantly, the prefabricated design can be installed in leased spaces dramatically reducing the capital costs of new ice rink construction projects. 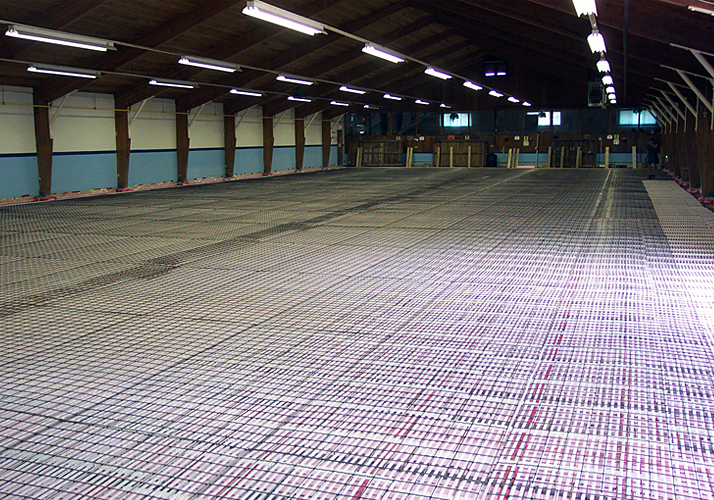 The Custom Ice training rink piping system can also be rolled up and relocated, sold, or leased. 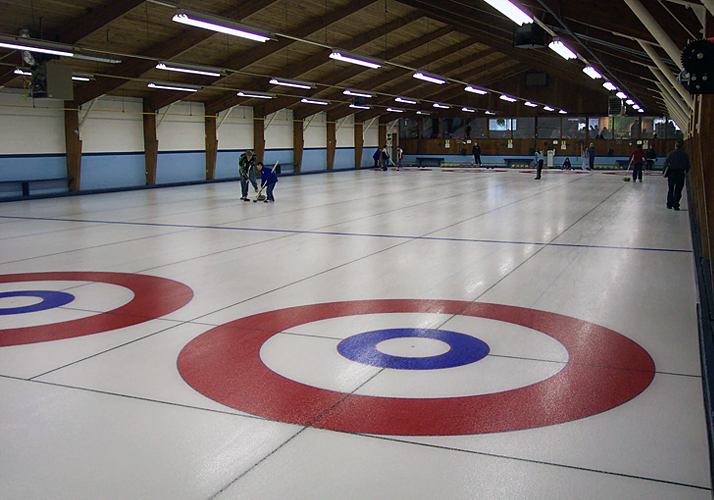 In concrete or sand, the ProCurl Curling Rink Piping System by Custom Ice provides the highest quality of ice for curling. 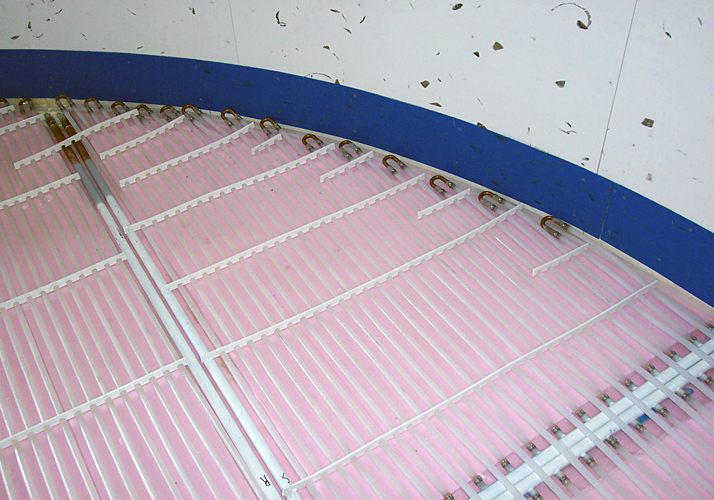 Its unique design keeps the pipes close together and level, maintaining a uniform ice temperature so the rock’s speed and curl are consistent shot after shot. 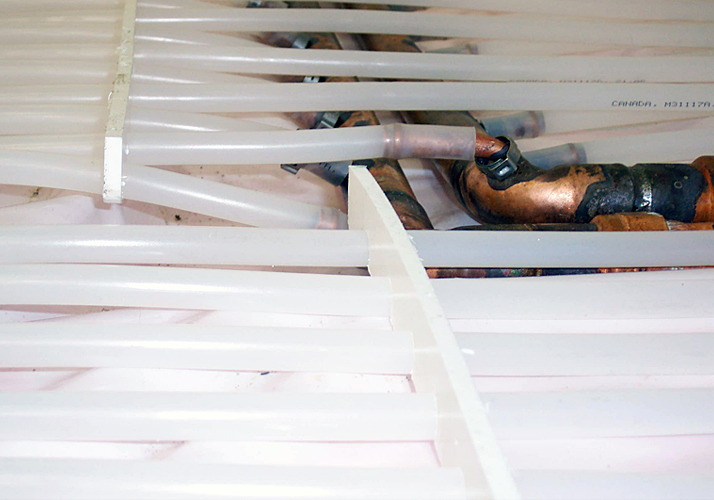 With a 30% more pipe surface area, the ProCurl system also increases heat removal rates and improves refrigeration system response time helping to lower operating costs. Custom Ice HDPE rink floor piping and header systems are a perfect match for skating paths and ovals or any complex curvilinear shaped ice rink. Custom Ice engineers design each piping system with uniform flows and refrigeration to provide the highest ice quality and temperature consistency. 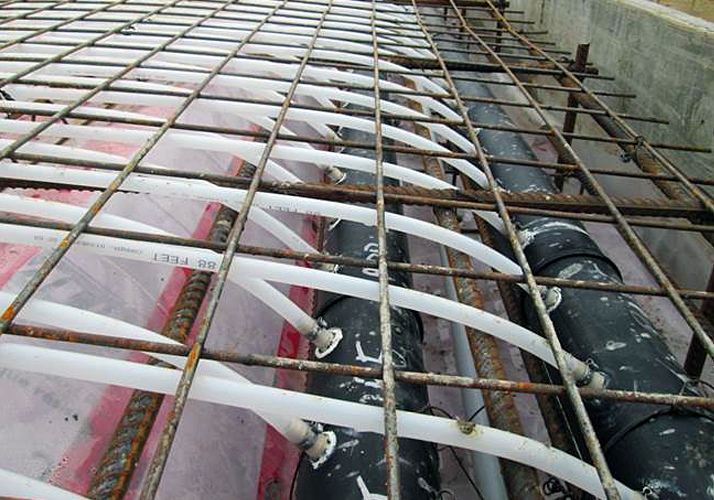 Complex ice rink shapes are no problem with our HDPE piping system.